Located at 972 Ohio Drive SW, this club provides three courses with different layouts perfect for different skill levels. The Blue course is the full 18-hole course, while the Red course and the White course are limited to nine-holes. 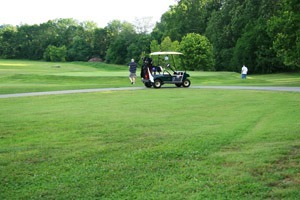 Operated by the National Park Service, this course is situated at 6100 16th Street NW, and is ideal for golfers who want to experience nature while improving their skills. As you line up your shot, you're likely to spot wild turkeys, hawks and even deer. 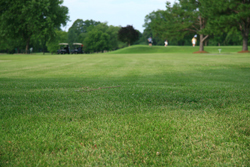 The 18-hole course provides challenges for all skill levels and is one of the top-rated facilities in the area. Tucked away in Clifton, Virginia, at 13940 Balmoral Greens Avenue, Westfields Golf Club combines a luxury feel with public access. Designed by Fred Couplers, the course features 18-holes of rolling greens winding through the elegant estates scattered throughout the area. Another great course with luxury amenities located in Upper Marlboro, Maryland, is Lake Presidential Golf. This course features 18-holes winding through slopes and providing tees ranging from 4,960 to 7,320 yards. This is a full service facility with an excellent practice area, banquet hall and more. Recognized as one of the top courses in the area, Langston Golf Course has been around since 1939. It’s located at 2600 Benning Road NE. Many of DC's power elite reportedly plays here including Bob Hope, President Ford, Jim Thorpe, and others. The course features meticulously landscaped emerald hills with a full-service restaurant on-site. 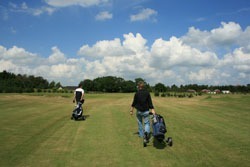 Which Private Golf Club Should You Join in DC?